Here's the complete event schedule for all upcoming new activities in Monster Hunter World. Capcom have done a fantastic job of keeping Monster Hunter World players returning to the game over the last 12 months, and have recently announced a full DLC expansion. In this Monster Hunter World DLC guide, we'll be walking you through everything there is to know about both upcoming events for the huge game, as well as the forthcoming expansion pack. If you need anything else on Monster Hunter World, including how to successfully trap any monster in the game using the Shock Trap and Tranq Bomb technique, as well as how to quickly track down all the powerful Elder Dragons in the game, make sure to head over to our Monster Hunter World guides walkthrough hub. Capcom has been putting on new events for Monster Hunter World since the game first launched in January 2018, and it's through this that we were first able to earn Aloy's armor for our character. There have been countless other events since launch, including a Street Fighter 5 collaboration event where you could earn Ryu and Sakura's outfits. For a complete, and up to date list of all the current and future events for the game, you can head over to the official Monster Hunter World event schedule. There's a ton of old and new events alike coming to the game over the next few weeks, including Arch-Tempered monsters, as well as special Arena quests, which enhance the amount of coins you earn. Check out our guides for all the new beasts that Capcom has added to MHW through DLC so far. We'll be continually updating this list whenever a new update arrives for the game. 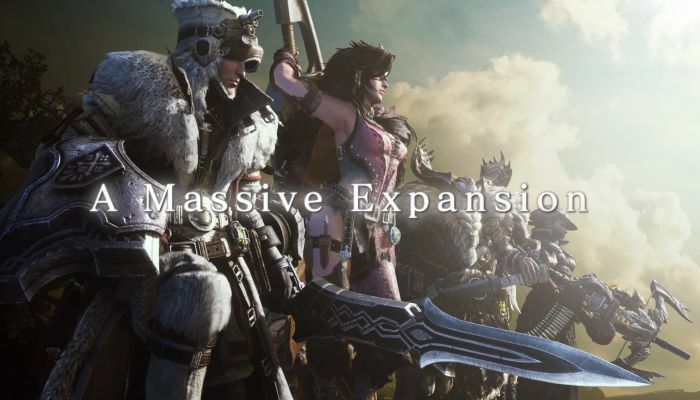 Finally, in December 2018, Capcom revealed the massive 'Iceborne' expansion for Monster Hunter World for the very first time. For a complete recap of all the information we know so far about the upcoming expansion, head over to our Monster Hunter World Iceborne guide. We might be all done with our events and DLC guide for Monster Hunter World, but head over to our complete weapons guide for a breakdown of the best weapons in the game, or our complete armor guide for the same information.